Home - Cosmetic & Family Dentistry Serving Huntsville, Madison, and Beyond. Your best smile is just around the corner and more affordable than you think! From implants to veneers, to whitening and dermal fillers, Premiere Dental Spa offers cosmetic dentistry that goes far beyond aesthetics. Discover your best smile today! Your family deserves the best oral health and smile confidence possible! Our focus on gentle, innovative, and preventative care is unlike any other. Dare we say, a family trip to the dentist that'll make everyone smile. Feeling and looking your best is a critical component of living your best life. Whether you're investigating the benefits of Botox®, hydrafacials, microdermabrasion, chemical peels and more, we're here to help with effective and affordable treatments! Oral health tips, exclusive specials & more. Dr. Daniels’ goal is to offer effective, gentle and innovative dental care to patients from all walks of life, providing them with a warm and inviting atmosphere where patients know that they matter most. She proudly provides this service at Premiere Dental. 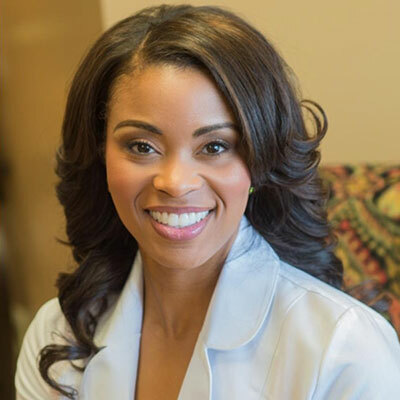 Committed to providing the best, most advanced dental care, Dr. Daniels keeps up to date on advances in the dental field and enhances her skills by attending courses in cosmetic dentistry, prosthodontics, endodontics and oral surgery. I had a wonderful experience at Premiere Dental! Dr. Daniels and her staff are competent, professional, and compassionate service providers. I had quite a bit of dental work to catch up on, but Dr. Daniels and her staff assured me that everything would be just fine! The receptionists worked with me to schedule appointments that were convenient for my work schedule, and got all my dental work complete!! I am thankful for Dr. Daniels and the staff at Premiere Dental for restoring my dental health!